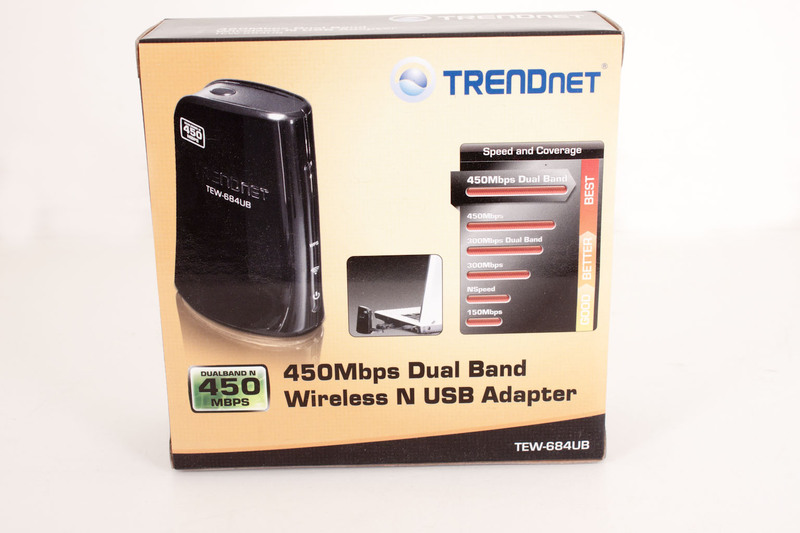 The box the TEW-684UB comes in is smaller than normal for a TRENDNet product. I was more than a little surprised at this as even their more compact USB adapters come in decent sized boxes. Of course the size of a box has nothing to do with the performance of a product so we won’t dwell on it. Looking at the front of the box it looks like the 684UB is a close twin to the 687GA. But if the image of the 684 near a laptop is to be believed it is much smaller. To the right of this picture is a graph telling you how much better the 684UB will perform (although what it is based on I cannot tell). 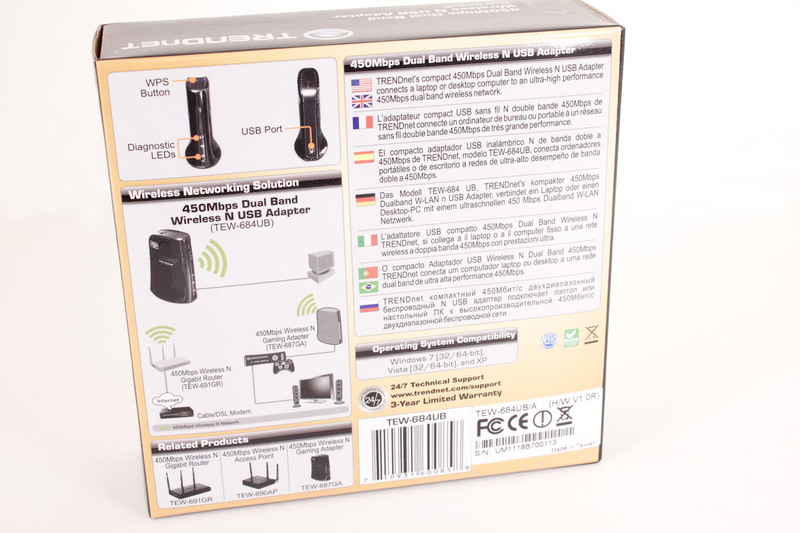 The back of the box contains the usual diagram of where the TEW-684UB fits into your network, pretty simple stuff really. 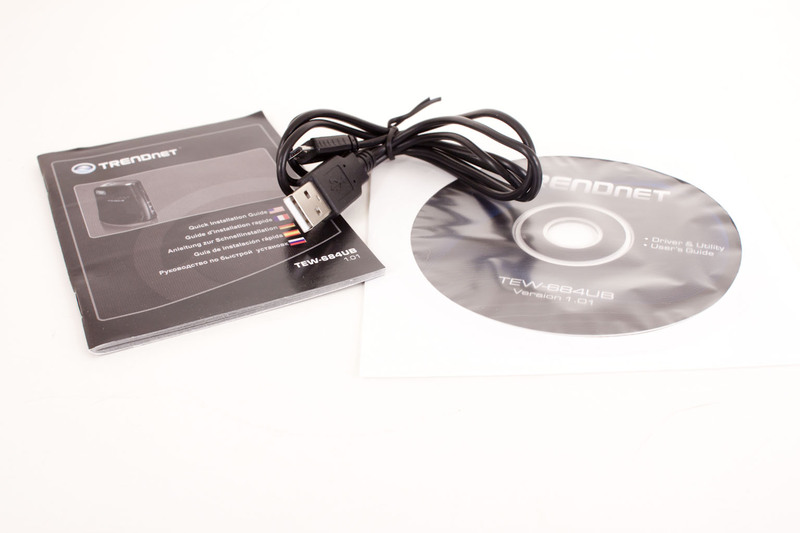 Once you get inside the box you will find the 684UB, a USB cable (USB-A to Micro USB-B), a Driver/Utilities CD-ROM and a small user’s guide.